Treat your taste buds at one of our well appointed Sukhumvit restaurants. Indulge in a gourmet hotel buffet of international flavors at Seasonal Tastes, our all-day dining venue. Discover both traditional and contemporary Japanese dishes in an intimate, authentic environment at Kisso Japanese Restaurant. Also to sip in style, stop by Zest Bar & Terrace or lounge under the Thai sun at The Pool Bar. At The Westin Grande Sukhumvit, Bangkok, a 24-hour in-room dining menu offers delicious, nourishing options to enjoy in the comfort of your guest room. Take comfort in the tranquil atmosphere and seasonal cuisine of Kisso Japanese Restaurant. 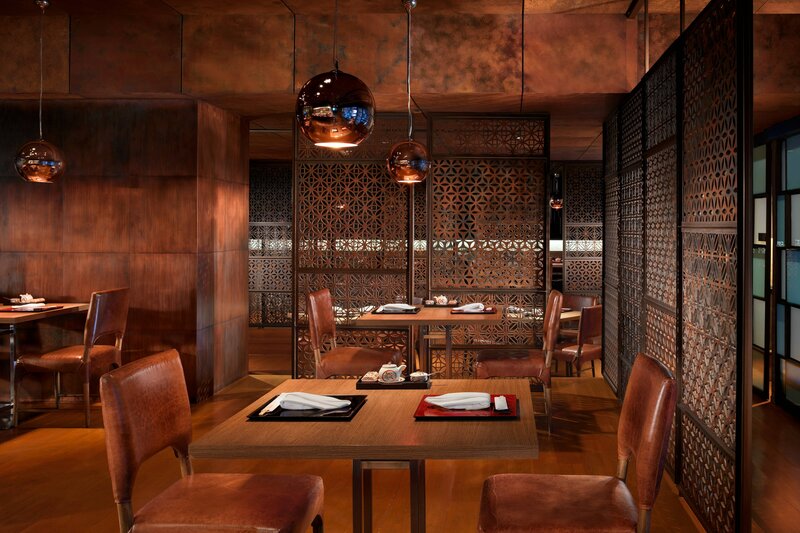 The intimate restaurant presents a concurrently traditional and modern menu prepared with the finest ingredients. Recharge anytime at Seasonal Tastes. 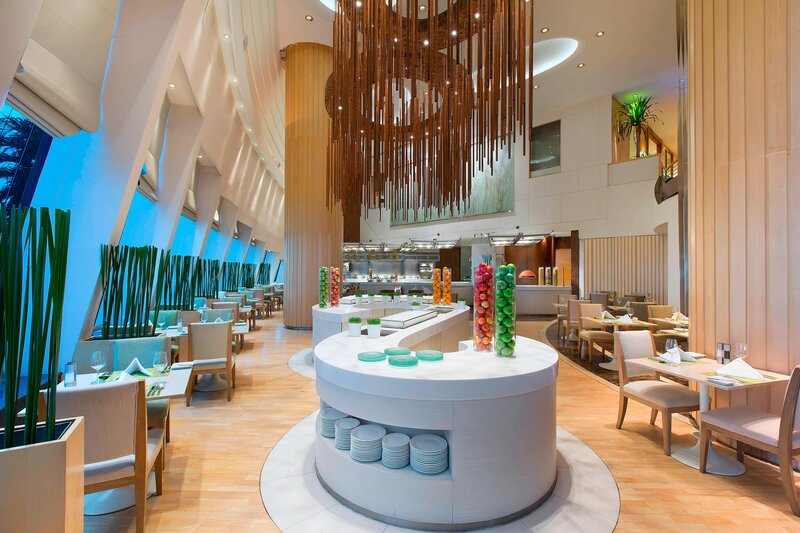 The contemporary all-day dining restaurant serves fresh and flavorful international dishes in a buffet or à la carte style within a light-filled environment. 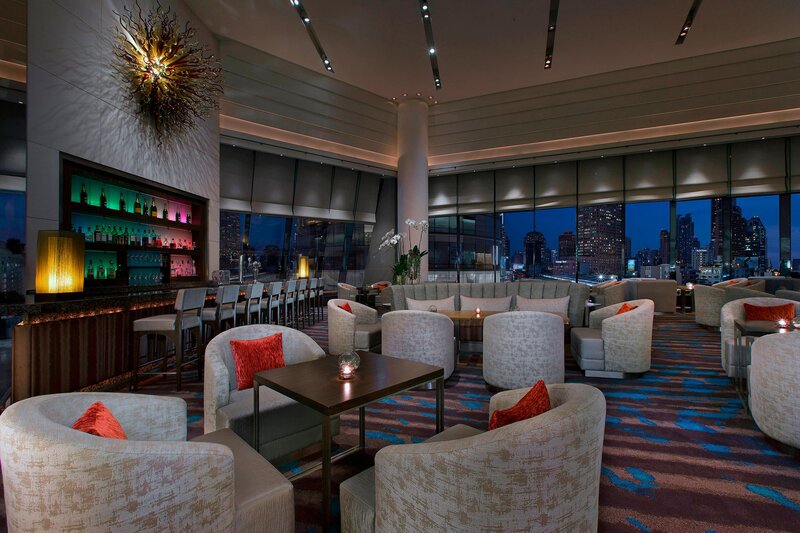 Zest Bar & Terrace is the perfect place to relax after a busy day. It features an outdoor terrace with stunning views of the Asok intersection and offers snacks and drinks throughout the day. 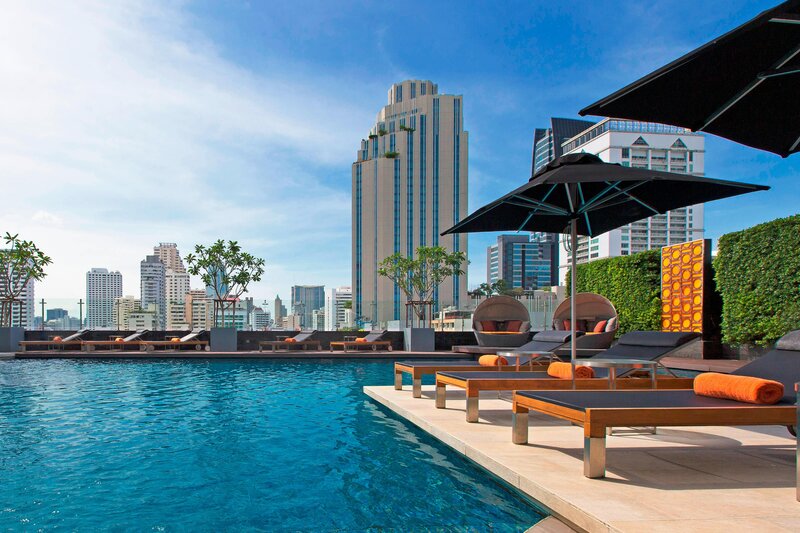 Settle into a poolside lounge chair or bar seat at The Pool Bar as the sun descends and the glittering Sukhumvit skyline lights up and enjoy an evening beverage or anytime snack. Since eating well isn’t just for adults, Westin has teamed up with the experts at SuperChefs™ to offer the Westin Eat Well Menu for Kids. Comprised of doctors, dentists, chefs, dieticians and other experts, SuperChefs is dedicated to educating kids on the importance—and the fun—of eating smart. Each of our special menu offerings is as delicious as it is nutritious, making kids and parents happy. Whether you’re adjusting to a new time zone or recovering from your travels, restful sleep is the key to rejuvenation. Eating the right foods can have a dramatic effect on the quality of your sleep, easing you into a night of sound sleep and ultimately boosting your well-being. Recommended by the experts at SuperFoodsRx™, the items on the Westin Sleep Well Menu are packed with amino acids, vitamins and minerals that promote rest and recovery. Eat smart and sleep well with our curated selection of sleep-enhancing superfoods, available for in-room dining. Fuel your day and enhance your wellness with Westin Fresh by The Juicery, an assortment of nourishing, healthy juices and smoothies. In keeping with our commitment to well-being, Westin offers a selection of wholesome juices and smoothies to fuel your day and enhance your wellness. Curated in partnership with the experts at The Juicery, each Westin Fresh blend packs a punch of revitalizing goodness. Fuel your body with delicious SuperFoodsRx™ dishes packed with nutrients and energy. Created together with doctors and nutritionists, our SuperFoodsRx menu cultivates “food synergy,” the pairing of certain foods to increase their nutritional value, to give you the focused energy you need to meet the challenges of your day.